If you need exterior painting Mesa, and you want it done right the first time, call the cool kids over at Mesa Painting Pros. 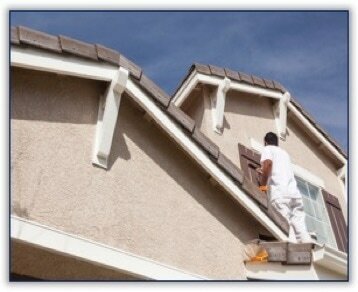 We do interior painting, exterior painting, sheetrock (drywall) repair, stucco repair, and pressure washing. When you wanna give your home or office a NEW look, there just ain’t much you can do that tops a new exterior painting job. Give your business a fresh new coat of paint and then count how many times your customers, patients, or clients say something good about it. It looks nice and it says you care about being neat and clean. A new exterior paint job will increase your curb appeal and increase the value of your home or office workplace. We understand this and will treat your office just like we treat ours. In fact, most of our business these days comes from referrals. Painting your home is an investment in your biggest asset. New paint increases its durability, beauty, and value. And, we want you to know you can trust us to make sure that happens. We will patch up your stucco, fill the cracks and holes, and paint the exterior like a canvas of a masterpiece. We want to be known as the best Mesa exterior painting company around and would like to add your home, office, retail store, or treehouse to our portfolio of success stories.